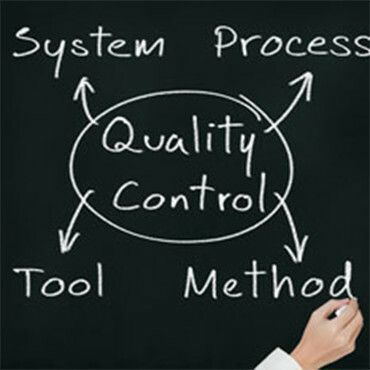 Eye On Quality Program | CSI International, Inc. The primary purpose of CSI’s Eye on Quality Program is the establishment of a quality culture that focuses on customers’ expectations, involves every level of employee, constantly measures performance, and strives to continually improve. The goal of CSI’s Eye on Quality Program is to achieve superior service quality levels for our customers. Our customers receive periodic quality reports via email or print copy. The update overview reports are capable of providing a full work-site overview as well as visual and graphic-based reporting. In addition, our Eye on Quality Program is supplemented by series of more conventional surveys and inspections to help our Quality Assurance Team determine customers’ management and their customer’s satisfaction with the quality of our services. Every facility has unique situations that require us to customize a program that works best for its culture. Driven by the specifications and modified by your unique requirements, inspections and surveys keep management in touch, supervision accountable, and employees informed. The end result is the achievement of service excellence for the customer. Training (hyperlink to Training link) – CSI provides extensive training programs designed to ensure that employees have above- adequate knowledge and skills to perform their jobs.